Terracom Systems: What Is A Smart Home? Smart Home is a term used in the home automation industry to describe a home or residence where one or more various types of electronics or appliances work together across a network in order to provide residents with some kind of additional benefit or convenience through automation. Smart homes can be automated and controlled by phone or computer through a home automation system. What can a Smart Home Control? A smart home system will allow a person to manually make adjustments to the various functions and products it's connected to from your computer, tablet or even your smartphone. Users can program the system to automate based off timers, special conditions like changes in temperature, motion detectors or a wide variety of other triggers. 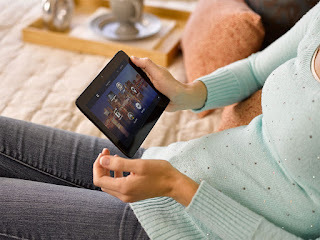 Smart homes leverage the advancements made in mobile technology such as wifi and bluetooth giving home owners the power to control almost every aspect of their home from anywhere with an internet connection. There are numerous benefits to a smart home such as saving money, security, being environmentally friendly, but the most obvious is convenience. A person could be half way around the world and still be able to turn down their AC, close their window shades, or even activate an alarm. Interested in converting your home into a Smart Home? Contact Terracom Systems.